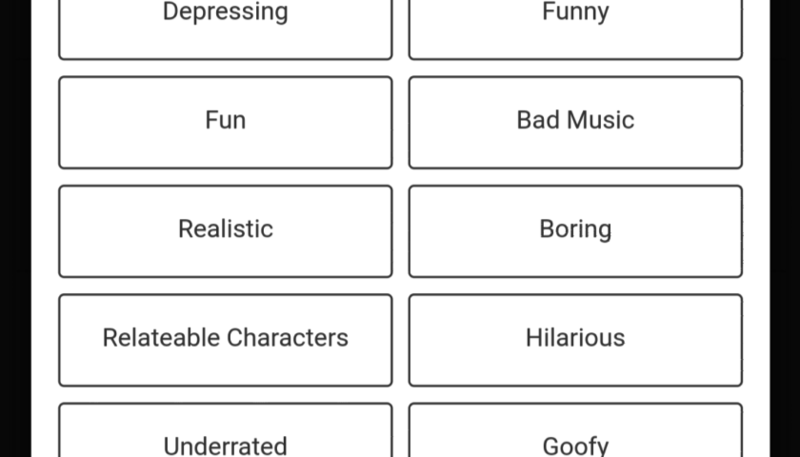 A little over a year ago, a searcher noticed that Google was requesting users to tag movies with adjectives. This week, I stumbled upon this test on one particular movie; however I was not able to replicate it on any additional movies. 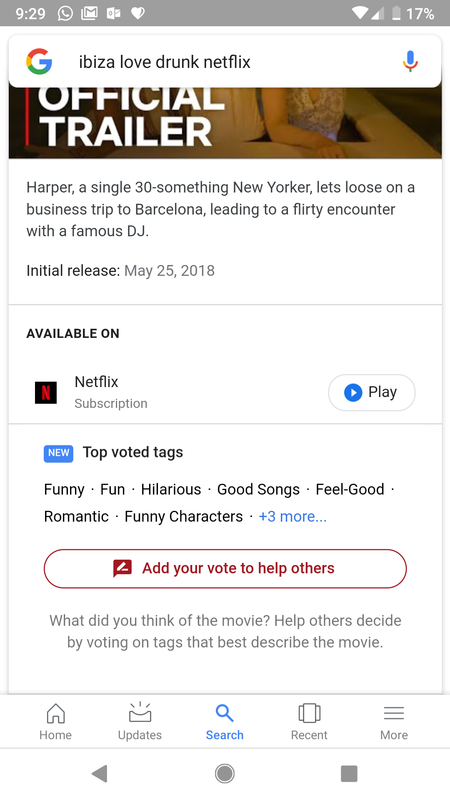 Just like last year, Google is calling this feature “new”; although it clearly is not new. I find it interesting that this test has remained in limbo for a full year in that they have not rolled it out completely nor have they killed off. 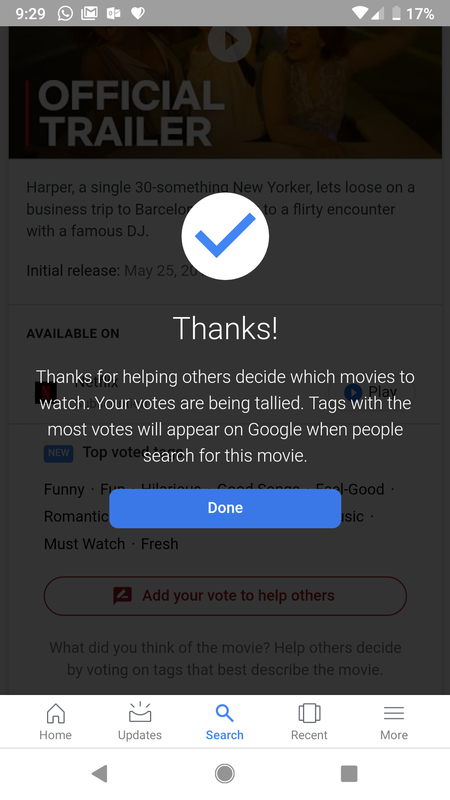 Either way, Google requesting user feedback around movies could be an attempt at adding additional context within search results around movie search or it could be a way of gaining deeper personalization data so they could even recommend movies like Netflix. 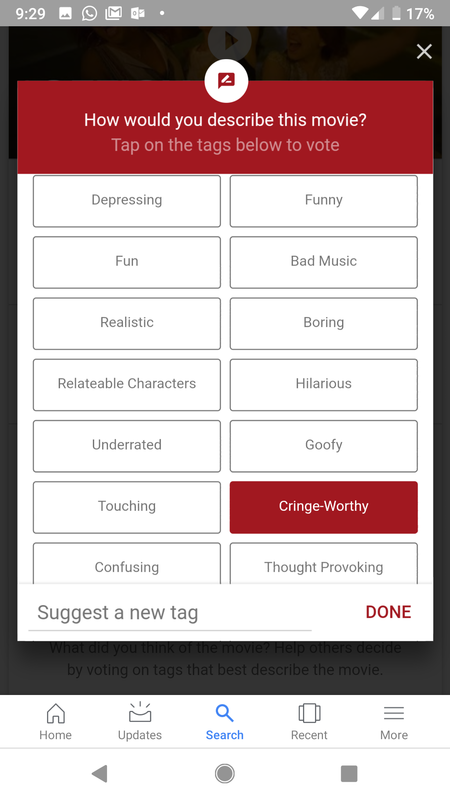 Have you seen this test in search? Here are the images of the full flow from requesting the vote to tagging to the thank you message.